LOTS OF MONEY… In Clark County, NV, the average litigated divorce costs upwards of $30,000. Between hearings, discovery, trials, phone conversations and emails that you are charged for, even if you are awarded attorney fees, major funds are used. NOT AS MUCH MONEY… At Steinberg Law Group, the combined mediation fees and paperwork preparation is normally less than $5000. CHILDREN INVOLVED… If custody is contested, it is possible that the court may insist upon psychological evaluations of the children. PROTECT YOUR CHILDREN… You determine what’s in the best interests of your kids. A JUDGE DECIDES… You leave your future in the hands of a judge who really doesn’t know you or your family. YOU DECIDE… You have complete control of your future. PUBLIC… The entire court case, including your financial information, becomes public record. Details of your case are published on the Internet. Anyone can view this information. PRIVATE… Mediation is a private, not published as public record. Everything said and decided remains confidential. 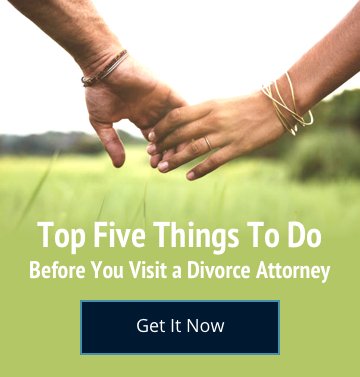 TIME SPENT… The availability of the judge, the court, and the attorneys all play into the amount of time it takes to complete your divorce. SAVE TIME… Mediation is scheduled based on your convenience. Brian Steinberg is available before and after regular working hours by appointment. DRAINING… No matter how strong you may be, hearing toxic testimony in court and having your name slung through the mud creates a draining, depressing atmosphere. EMPOWERING… You will learn how to communicate in non-confrontational language and since the process is private, you will maintain your dignity. You have the tools to make the best of a bad situation.